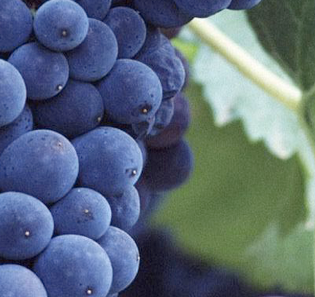 Grapeseed oil contains a high amount of linoleic acid, a type of omega-6 fatty acid. (Safflower oil, my first love, also contains this fatty acid!) Linoleic acid has many health benefits when taken internally (e.g., decreases LDL cholesterol), but what is not discussed as much are its benefits externally. When applied to the skin, this fatty acid can help combat dryness by providing protection against moisture loss (1). Additionally it has demonstrated a potential to effectively reduce the size of blackheads and whiteheads (2). It's that time of year again to mix another body butter! In my original batch, I used unrefined shea butter with safflower oil. 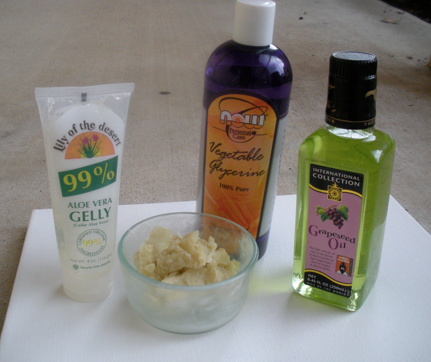 Since then, I've experimented with a couple more substances and mixtures to get a feel for what my skin likes. Here's my latest mix that I use on my elbows, knees, ankles, and lips. Enjoy! 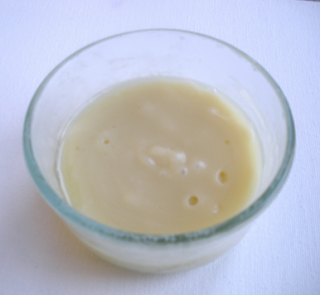 Perform the following if your shea butter is too firm to mix and/or contains impurities. 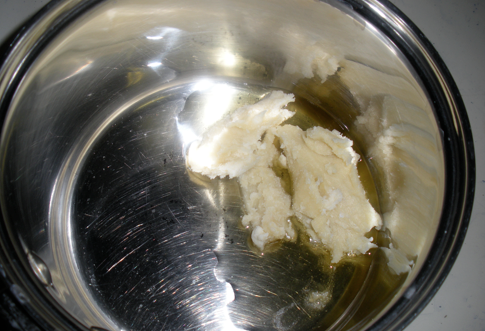 Heat the unrefined shea butter over the stove until melted. Stir continuously. Use low to medium heat. Should be melted in less than 5 minutes. I'm actually going to try this out since I have most of the ingredients. I did not know about filtering shea butter. Thanks. You're welcome! Hope you enjoy it.